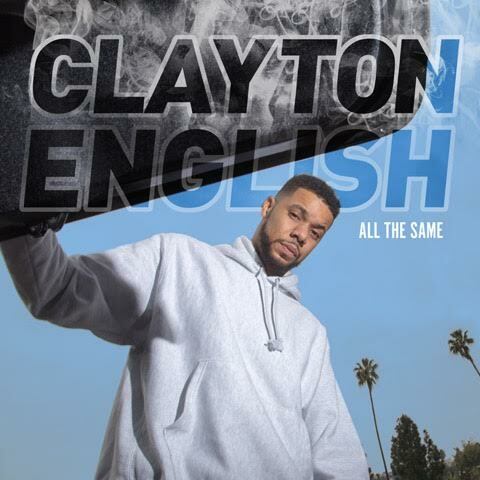 LOS ANGELES, CA – Comedy Dynamics will release Clayton English’s debut comedy album All The Same on CD, iTunes, Apple Music, Google Play, Spotify and all other physical and digital audio retailers on May 26, 2017. In All The Same, Clayton talks about everything from his skepticism of drug-sniffing dogs to why smoking weed is good for everyone, to the very best breakfast cereals and why shredded wheat is not one of them. The album was recorded live at the Pittsburgh Improv. All The Same, produced by Comedy Dynamics, a Nacelle company, is the largest independent stand-up comedy production and distribution company, producing Kevin Hart’s Guide to Black History for History, Animal Planet’s Animal Nation with Anthony Anderson, the new scripted comedy on Seeso, There’s … Johnny, History’s Join Or Die with Craig Ferguson, MTV2’s Wild ‘N On Tour, Hulu’s Coming To The Stage, and MTV’s Spooning with…Zac Efron. The company has worked with a wide-range of established and emerging comedic talent including Kevin Hart, Louis C.K., Aziz Ansari, Jim Gaffigan, Katt Williams and many more.